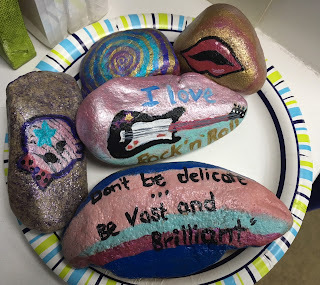 First rock I ever painted for the Kindness Rock Project #StGRocks on Facebook! 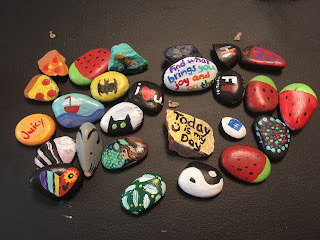 One Sunday, the whole family painted rocks, here is our loot! My favorites here where the lips and the guitar!